Thanks so much to all who joined us for a taste of Vida Vegan Con fun, with hourly raffle prizes, food trucks, 60+ vendors, live demos, samples, presentations & panels! 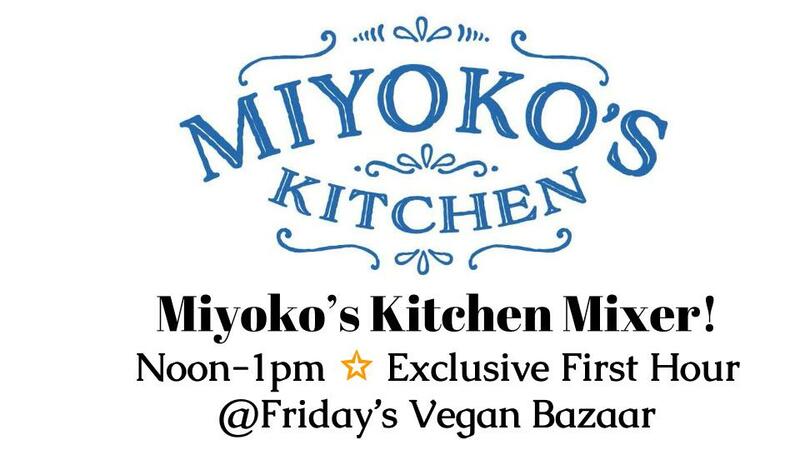 All registered Vida Vegan Con attendees and speakers are invited to an exclusive first hour of our new Vegan Bazaar. You receive early access to meet all our vendors—and check out the Earth Balance photobooth and special treats, no doubt. Welcome to opening day of Vida Vegan Con III + our debut Vegan Bazaar! 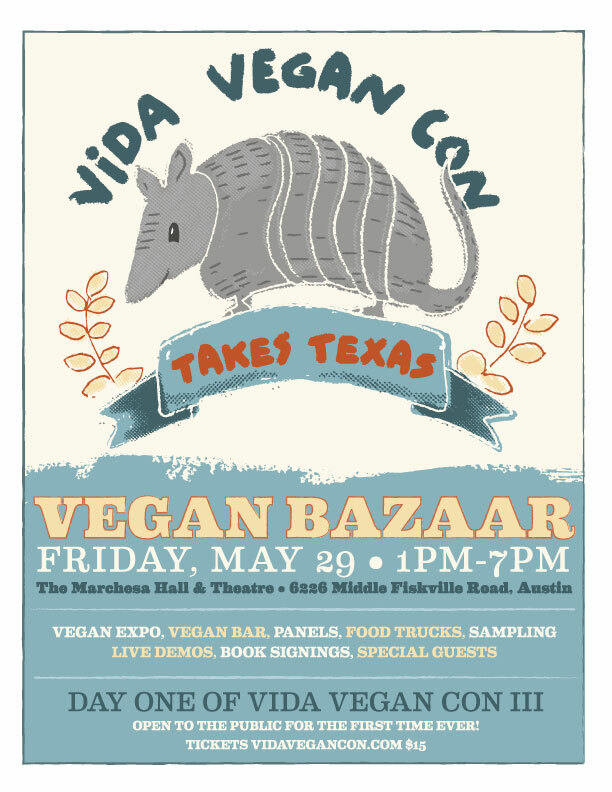 Expect vendors, samples, food trucks, cocktails, live demos, games, heaps of vegan food, surprises, and a dose of the lively, contemporary panels you’ve come to expect from Vida Vegan Con. Tickets are available to the public here. *Remember, all official Vida Vegan Con weekend attendees are already on the door list and get an exclusive first hour, from noon ’til 1pm!!! Tickets to the public are now available above. Hello! This is Dan from The Gay Vegans. My husband Mike is coming to Austin with me. He has been weaving some amazing vegan creations. I’m writing to see how much it would be to get him abooth at the Bazaar, and/or if that is something that could happen. Hiya, Dan! We’d love to have Mike involved! Send us an email to vidaveganconference@gmail.com Thanks so much for reaching out! It would be nice to see MORE diversity. Surely veganism is for everyone but I wouldn’t know that looking at your line up over the past couple of years. Veganism is quickly and awkwardly becoming a privileged option for A particular class of human beings. If the goal is to TRULY help others then you’ve missed it , but if it’s to be part of a fad you’ve hit the head on the nail. “Open to the public” traditionally means “FREE.” Change your words. When I try to leave my name, email and interest via my Android phone, the fields are uneditable. In fact it jumps straight to the logo image for some reason. I will try via my computer and wanted you yo be aware of the mobile bug 😉 Thanks! !